According to Google, 82% of smartphone users say they consult their phones on purchases they’re about to make in a store and 91% of them turn to their phones for ideas in the middle of a task. This is why, nowadays, creating responsive ads has become really important. Due to a large number of different screen sizes and shapes for mobile devices, responsive design has become really critical in online advertising. So the one-size-fits-all times are gone. Now you must understand your audience’s intent and needs and be there when they need a solution for a problem. Today, you can create ads that fit on different screens or create visuals in different formats, such as vertical banners that are on the rise because of the power of mobile usage. Many website owners still use traditional banner ads. 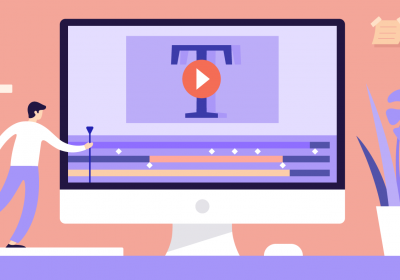 In most cases Flash and GIF banners go with fixed pixel dimensions and they are incompatible with today’s responsive layouts and mobile devices. Before we move further, let’s see what are responsive ads and try to understand their importance in the online advertising ecosystem. Responsive ads adjust their size and fit to any available space. This means that you can use responsive ads in a multiple device campaign such as mobile, tablet and laptop/computer screen. Because the ads adapt to the available space on the screen. HTML5 allows you create responsive banner ads that are adjusted with any screen or device. A correct display of banner ads is quite essential to make your display advertising campaign successful. The adoption of HTML5 will allow enterprises improve the work of modern browsers like Chrome, Explorer or Firefox that are now going faster than a few years ago. 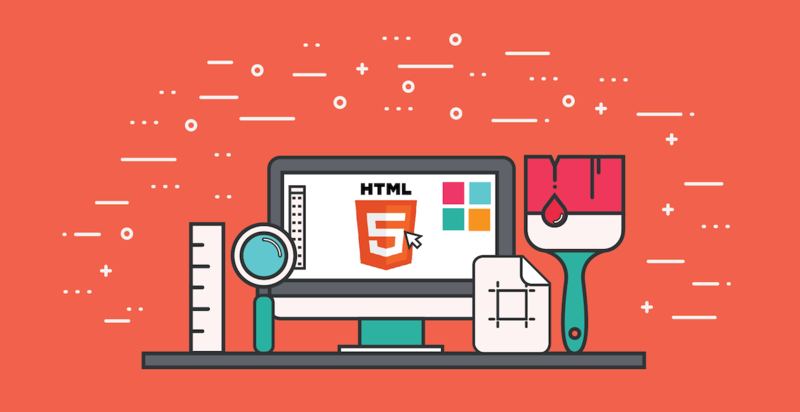 HTML5 enables companies to create and manage apps with greater delicacy and multiplicity on different platforms and devices in the same amount of time. HTML5 gave rise to online advertising and more flexibility to manage your banner ads on any device. Now you don’t need to create various versions of the same banner ad. HTML5 banner ads reduce this number and сhances of getting errors that will significantly improve your banner production. Banners can use dynamic server-side scripting and databases if necessary. Banner serving is often similar to web hosting. If you want to create responsive layouts, the page elements need to use variable widths so the banner ads can stick to this convention. The height of the banner is not very important for the responsive design, but that doesn’t mean that you don’t need to focus on it. You can choose any height that you want, but this is not to say that your banner ad will be entrapped with this height. In order to come with the same heights like conventional banner sizes, you should follow the compatibility. In theory, we can make any height or width, but this is not convenient for testing. I get over with a standard set of banner heights that I categorized in 4 chapters so it’s easier for you to create the HTML5 banner ads for your next campaign. That will give you not only a great vertical size with different widths, but also a good chance that your devices will display them right. It doesn’t matter if you are a designer, a developer or a marketer – there will be one moment in your life when you will want or have to create a responsive banner ad and you need to know which are the best ways to do that. So If you are a developer and you want to crack the code on your own way, I recommend to check out his article about how to create responsive banner ads using CSS. But if you are a marketer or a designer I have a better recommendation for you, the best HTML5 banner creator in town that can help you with your HTML5 responsive banner ads – Bannersnack. With this app, you can create responsive scale HTML5 banner ads in a very simple way. 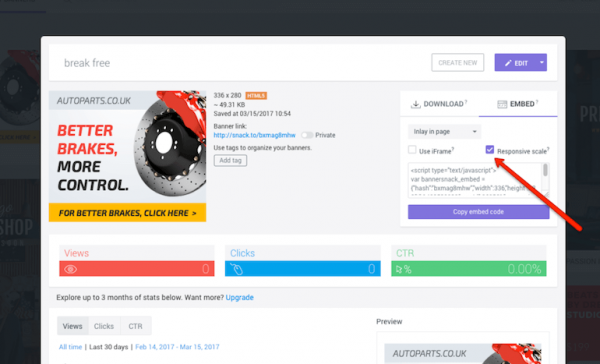 After you sign up (or log in if you are a user) and created your banner ad from scratch or edited one of our templates, just click the Save button and use the embed code we provide and then check the Responsive Scale Option. The Responsive Scale will make your banner ad become responsive while still keeping its overall proportions. The banner will adapt in size depending on the space that it’s embedded in. But if it’s disabled, you banner will be embedded in its original size. According to one of Google’s study, the statistics show us that 89% of all users in the US that use a smartphone notice a banner ad while they’re using them. That means that advertisers must understand that they need to create responsive scale campaigns not only for one type of screens but for different types, such as mobile, laptop and tablet. When we saw that many of Bannersnack’s users are embedding their banner ad on their websites and blogs we knew that they need to measure their impact, so this is why we developed a feature that helps users analyze their views, CTR and clicks and also show them the heatmap of the banner ad. What makes a banner ad efficient in an online advertising campaign? 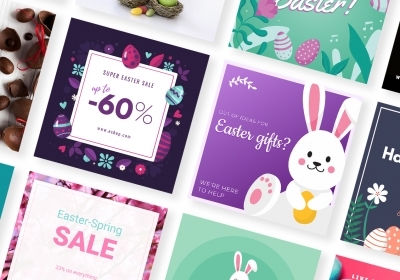 Now that we know all of these things about HTML5 banner ads, let’s look at some great examples our designers created for you guys from which you can get inspired for your next campaign. Very nice articles, such articles yet not available. i am an HTML ad banner developer. i use gwd & am trying to do my the level best. Thank you very much for creating bannersnack, it saved a lot of my time. Nice article. I thing there is a difference between Responsive and adaptive banners. I also can code on my own. HTML5 Banner is like one page web. But time matter i thing. Thanks for Posting. It’s very inspiring Thank you very much for creating standard, it saved a group of my instance. Very accommodating piece of writing! It knowledgeable about some things and made improvement in some areas within the website. I liked your post, it’s very useful. I would like to read more from you. ! Thank you so much for sharing this enormous post. I liked your post, it’s very useful. Ok, thanks for sharing. I’m finding responsive html 5 display ads are a great channel for marketeers. This is the first time i am seeing post on creating html banner ads . Great work! I really impressed to read the great information that you have shared best quality stuff in the content of the post. Thank you for sharing your details and knowledge. I think it very good for me.